San Francisco departments and City staff play a critical role in implementing innovative solutions to tackle climate change, leading by example, and providing visible proof of the benefits of climate action on the health and livelihood of all San Franciscans. For over a decade, City departments have carried out measures to decarbonize buildings and fleets. Municipal emissions have declined by 30% since 2010 and make up less than 3% of total emissions in San Francisco. 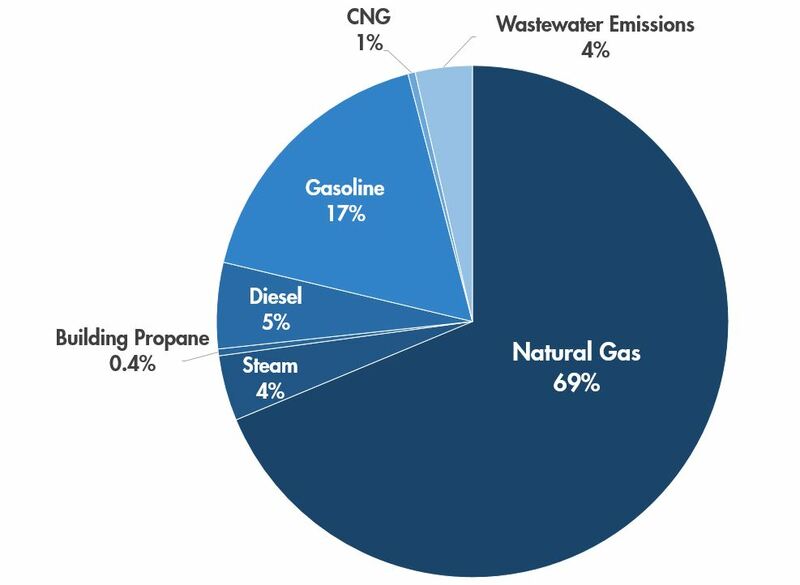 Municipal emissions are mostly generated by natural gas use in City buildings and gasoline used in non-revenue fleet. Contact us with project and partnership ideas.